It’s finally here, the day in which we celebrate all the horrible stuff that happens at the beginning of The Last of Us is upon us. While about half of the Outbreak Day goodies were already revealed on The Last of Us’ website, the other half has been unveiled! Everything that’s free is up for grabs, and everything that isn’t is available for purchase. First off, there’s the stuff we already knew about from earlier. The PS4 dynamic theme for The Last of Us Part II featuring Ellie is available now for free, and so is an Ellie avatar pack. Both of these items will go up to $2.99 and $1.99 respectively after 12 pm PT tomorrow. Additionally, a set of avatars featuring other characters are also available for $0.49 each. 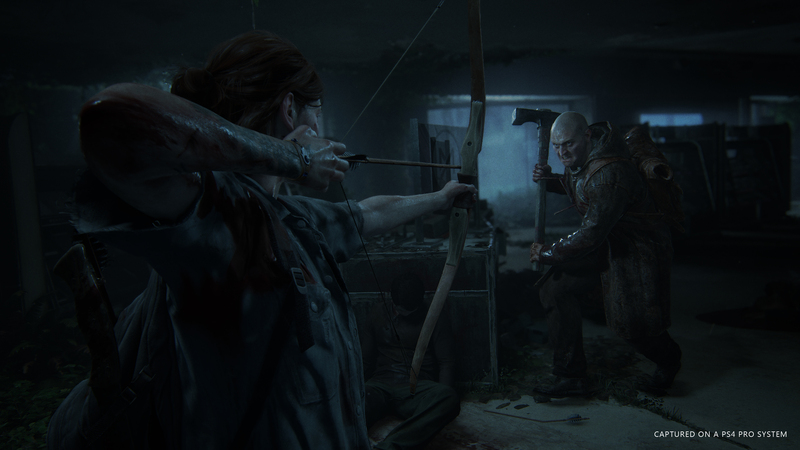 The Last of Us Part II‘s theme song, “Cycles,” isn’t quite available yet, as it is marked as “coming soon.” But you can download one of two device wallpapers of various device-specific resolutions directly on the website. Now for the new stuff. For free, you can download a set of The Last of Us stickers for iMessage, now available on the Apple App Store. A new vinyl record from Mondo, The Last of Us : Original Score – Volume One is available for preorder, launching in November 2018 for $35. Next is a t-shirt from Insert Coin, which features Ellie’s arm tattoo. This is also a preorder, set for October 2018. It’s on sale now for $30. The final Outbreak Day 2018 item is a poster for the event, hand-numbered and screenprinted. Designed by Sam Wolfe Connelly, the posture features Joel playing a guitar. It’s $45, and it’s only on sale from now until September 29, 2018. Also a preorder, the posters are planned to ship in January 2019.